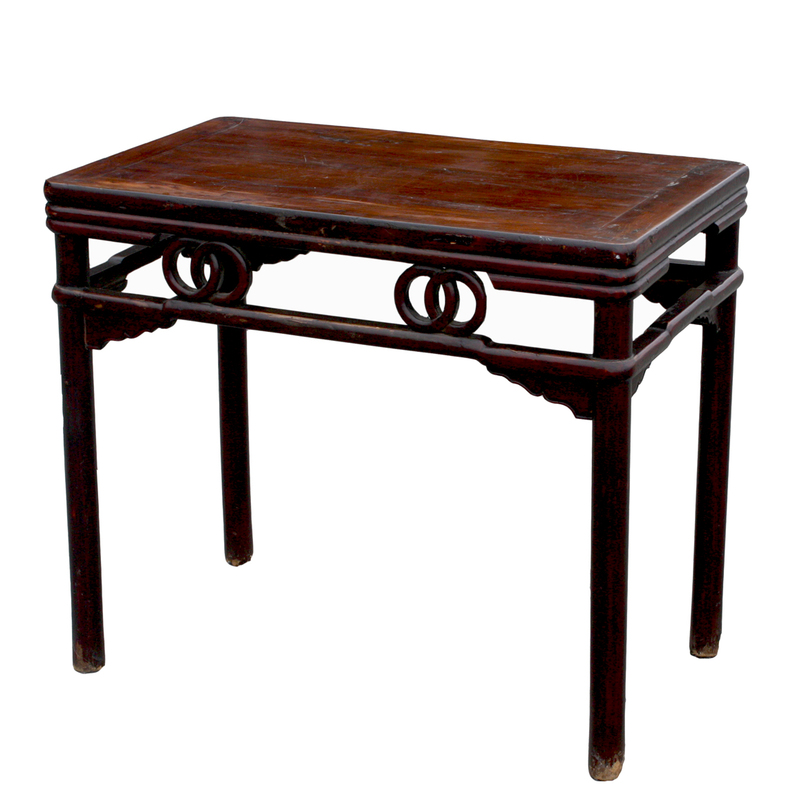 An 18th-19th century antique Chinese side table with "double-circles" motif made of Bai wood in original brown color lacquer. 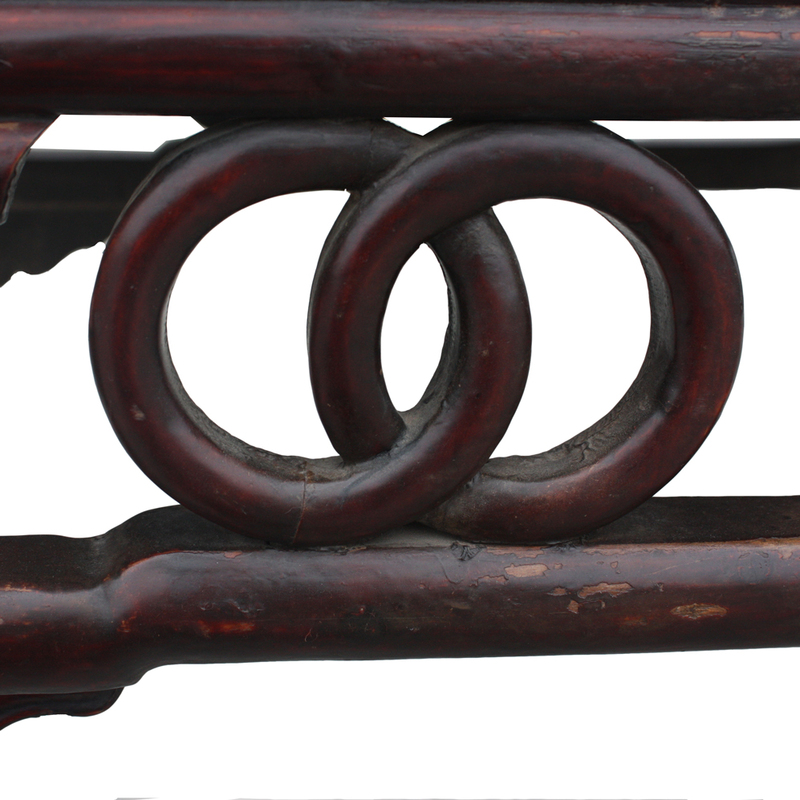 Bai wood is among a variety of wood, such as Ju wood, that were used for making furniture pieces during the 17th century. Identifiable examples can possibly be found but are rare. Dimensions: 37" x 22.25" x 32"